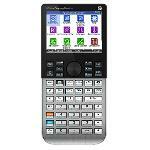 HP Prime Graphing Expert Reviews - Read Reviews and Buy Smarter Online. Verdict: It is a terrible product. Today during my exam my hp50g prime did not work and now It is with a white screen and It does not on anymore. I want another calculator or a refund! Pros: Great design overall. Nice brushed aluminum front with a click wheel on the top. Buttons are responsive, depress easy and feel nice. The touchscreen is bright, vibrant and looks great. The fact that it is backlit adds a bit more functionality to the calculator. Verdict: Solid calculator and much more advanced compared to graphing calculators several years ago. The unique interface along with the color touch screen are the biggest reasons to get this calculator. Verdict: For me one of the best calculators.